Welcome to this celebration of the life of our dear Sister Helen Scheel who passed away on January 4, 2016, at Maryknoll, NY. In the early morning hours, just as unobtrusively as she lived, Helen passed quietly into the arms of the God she served with such loving compassion. She was 87 years old and had been a Maryknoll Sister for 68 years. Helen Mary Scheel was born on November 30, 1928, in Baltimore MD, one of three children. Her parents, Joseph A. and Julia Hintenach Scheel, and her brother Paul, have predeceased her. Helen attended Shrine of the Little Flower Grammar School and then graduated from The Catholic High School of Baltimore in 1946. She worked as a bookkeeper and stenographer in Baltimore before entering the Congregation in Valley Park, MO on Oct. 30, 1947. There she received the religious name of Sr. Paul Gerard though in the 1970’s she returned to her baptismal name. It was remembered of her secretarial skills that she was part of a team in the novitiate commissioned to record the classes, retreats and reflections given by Mother Mary Joseph. Sister Paul Gerard made her First Profession of Vows at Valley Park in 1950 and was assigned to the Motherhouse that same year. In 1953 she made Final Vows at Maryknoll. She received her BE in Elementary Education from Maryknoll Teachers College in 1955. After graduation she was assigned to San Juan Capistrano, California where she taught Grades 2 to 8 for seven years and was the Local Superior and principal of the school for an additional four years. During this time she was also a teacher and coordinator of the Adult Basic Education Program of the City of Monrovia Unified School District. In addition, she completed her studies for a Masters in Adult Education at California State University in Los Angeles. Although in full time ministry to her ailing parents, Helen was also a member of the Governing Board for the Eastern US Region from 1983 to 1987, did Adult Basic Literacy Education and was passionately committed to working against injustice. 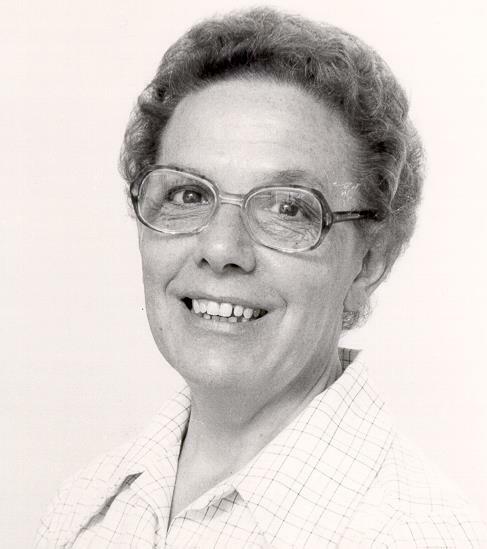 One member of the Region said: “For many years Helen’s was the justice and peace face of the Maryknoll Sisters in Baltimore as she and Medical Mission Sister Mary Louise Lynch engaged in ministry that advocated for victims of poverty, war and other injustices…including travelling to Washington DC in all sorts of weather for demonstrations and prayer vigils.” Helen retired in 1997 but still worked on justice and peace issues and did tutoring until her return to the Maryknoll Sisters Center in 2007. During her years in the Chi-Rho Community at Maryknoll, 2007 – 2013, Helen continued to volunteer as an English language tutor for a number of the non-English speaking members of the Center’s service staff. In November 2013, her deteriorating health led to her transfer to the Center’s Eden Community where she took the USA Eastern Region for her prayer ministry and where she remained until her death. In an act of typical generosity, Helen donated her body to science. We welcome some of Helen’s friends who have joined us today and also our Maryknoll friend and brother Father Jack Sullivan to celebrate this memorial Eucharist with us.